Young Challengers - Fú Design Studio creating audiovisual experiences. ONESAL Japan hired our director Martiniano. There, with the company of their awesome team, he could develop this funny project. “Young Challengers [青春の挑戦者] tells the story of a kid going through the exciting, fun and sometimes scary but always frenetic adventure of growing up. 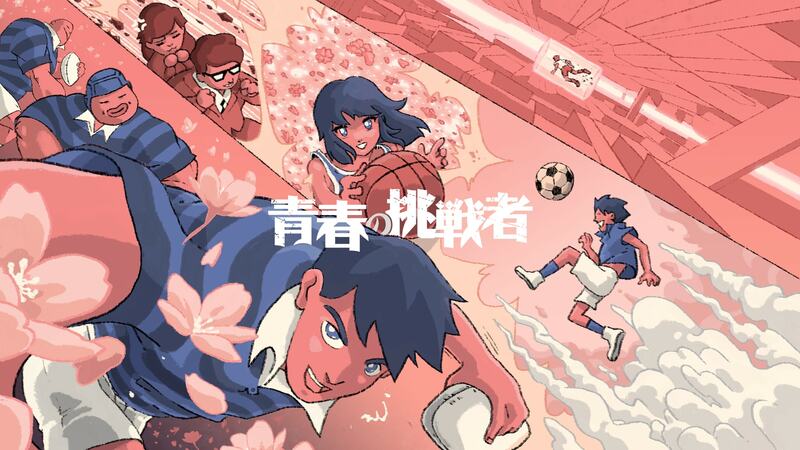 The Japanese sports network J Sports asked Onesal to create a film to promote the High School and University leagues of Baseball, Rugby and football, which are extremely popular in Japan. 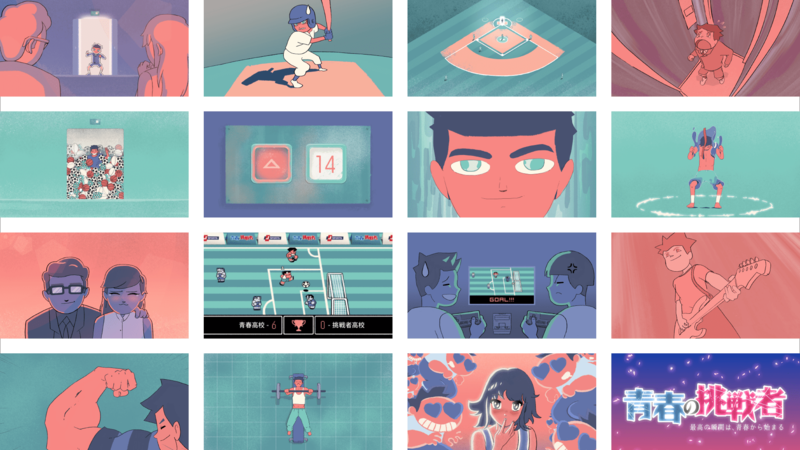 Instead of just focusing on the sports, we went for a tongue in cheek take of going through puberty, and how for our character (and for many fans who watch the network) sports play a major role in making people come together.” In words of Creative Director Nau Salcedo.